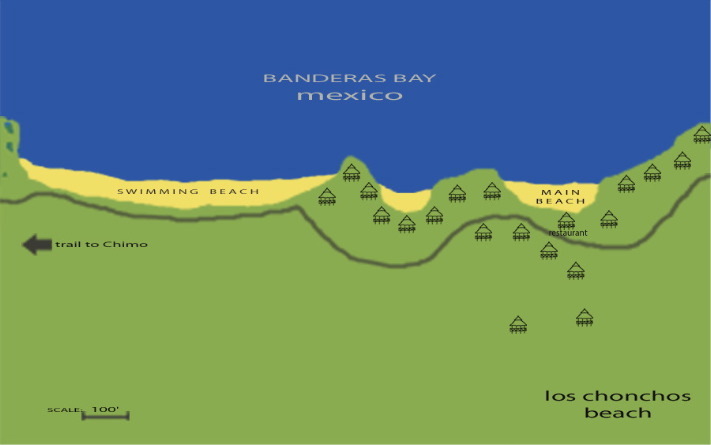 Placement of the bungalows is not in to scale on this playful map. This illustration doesn't reflect how the bungalows are actually situated in the 3D terrain, it only provides a simple visual of our colony. Only Casa de Pirata and Casa de Sirena are available for rent.